Coming back from any vacation and starting work again is challenging, but returning to school after Christmas break is tough. Children are trading their holiday bliss…shiny new presents, staying up late, and plodding around the house in warm flannel pajamas to the reality of being back to school. One to two weeks is a long time in the life of most children and some (many!) rules of school are often forgotten over a long break. Some kiddos think that the fun of the vacation will continue while they will be missing it once they are back to school. It’s stressful. List all the stressors in your life…I can write down several – all names of people under the age of ten. Remove your stressors whenever possible…if I removed my stressors, some children would be sitting out on the playground. Peppermint aromatherapy…”Mrs. Killian, it smells like marker breath in here. Calming sounds of rain…that just makes me want to use the restroom. Last week I found it; the best way to remove stress. It arrived in a small box from Amazon. SNAP! List your stressors, remove your stressors, aromatherapy, calming sounds, my foot. I plopped down in my chair and stared at the bubble wrap in my hands. Slowly a smile spread across my face. Then I squeezed one bubble. SNAP! SNAP. SNAP. SNAP. SNAP. SNAP. SEP Conferences will be held this week, Wednesday, January 10th from 3:30-5:30 and Thursday, January 11th from 3:30-8:30. You should have gotten an email invite through SignUpGenius. This email allows you to visit the website, find your child’s teacher (s), and sign-up for the time that is most convenient to your individual schedule. Parents, if you find a need to change your appointment the day of conferences, please contact the teacher so he/she is aware of the change. Thanks so much! Please remember there will be no school on Friday, January 12th and Monday, January 15th! During the month of December, Riverview held a food drive service project. 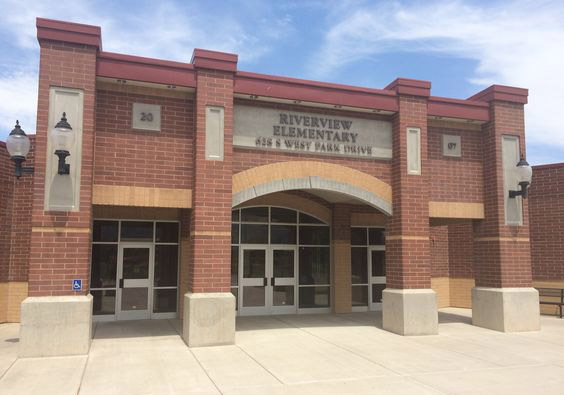 Riverview collected 7,623 items! Thank you for blessing the lives of many children in the Spanish Fork community. The food and clothing has been donated to families in our school, families from surrounding schools, the Nebo Pantry and the Utah Food Coalition. I would like to invite you to check out two outstanding eBook libraries which allow you to access books anytime, anywhere and for free. The Nebo Overdrive library can be accessed through http://www.nebo.edu/overdrive. and the MyOn library is available at https://www.myon.com/login/. Nebo School District has launched a free app. This app may be used to view student information (schedules, grades, attendance, etc.) and school information (news, calendars, menus, etc), which is retrieved from various sources. Install the “Nebo School District” mobile app from the App Store or Google Play. Click the following link to access the append get full install instructions http://www.nebo.edu/bb-mobile-app.